The simple and safest answer is YES! Considering what is at stake you do not want to take any chances. 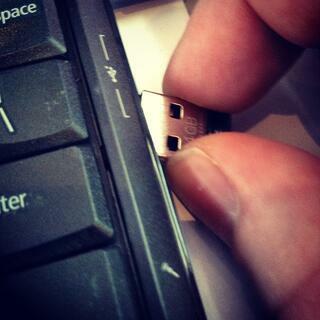 You are saving this information to a USB device because you want to keep it, it is important. These could be family photos or work files, anything really. The point is this is how you are backing it up to either protect or transfer it so doing it properly is important, right? Depending on what kind of platform you are running, and I am referring to Windows/Mac/Linux, these devices function in similar, but not exactly the same ways. The best practice is to eject the device before you remove it. Mac and Linux systems are less forgiving but you can also damage or corrupt the data on a Windows machine by simply pulling the device out. Be safe, select the device and eject it or drag it to the trash to un-mount it before you remove it.